If you haven’t realized that the Israeli regime and its puppets in the United States want to start World War III, then you need to wake up from your dogmatic slumber. The Neocons and flaming Zionists are already gloating because Trump is currently doing their bidding. “I think Donald Trump became president of the United States. I think this was actually a big moment because candidate Trump had said that he would never get involved in the Syrian civil war, he told President Obama you cannot do this without the authorization of Congress, he seemed unconcerned with global norms. President Trump recognized that the president of the United States does have to act to enforce international norms, does have to have this broader moral and political purpose. “This strike will save lives—in Syria, by preventing Assad from daring to use chemical weapons again, and in unknown future conflicts where the losing side will be tempted to employ chemical weapons, and will think twice and not do it. Trump saved more lives in Syria by his action this week than Obama did in all his years in office…. “Vladimir Putin will think again about his relations with the United States, and will realize that the Obama years of passivity are truly over. Allies and friends will be cheered, while enemies will realize times have changed. When next the Iranians consider swarming around an American ship in the Gulf, they may think again. “President Obama, do not attack Syria. There is no upside and tremendous downside. Save your ‘powder’ for another (and more important) day! Why do we keep broadcasting when we are going to attack Syria. Who is being stupid now? Trump is obviously acting like a fool and a complete idiot who hasn’t realized that his previous statements have been recorded. 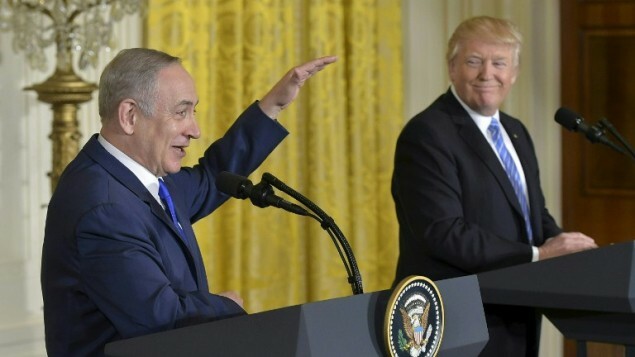 As Gordon Duff has recently pointed out, “there is no history of Syria using chemical weapons against its own people, never happened.” And using colossal lies and blatant fabrications to attack Syria, Trump has just fallen into the able hands of the Israeli regime, which vowed to remove the Assad government from power in the first place. I am inclined to believe (though I do not have evidence to support this) that Trump has observed the essentially diabolical power of Israeli Lobby and the Neocon power in Washington and that it is too strong for him, and therefore he cave in to the Neocons’ perpetual wars. Wilson, like Bush and even Obama after him, was obviously being used like a puppet in an ideological experiment. And here Wilson perceived that the oligarchs always end up ruling the majority. So, who was ruling Wilson? Who was he working for? Wilson was basically working for Paul Warburg and Jacob Schiff. Schiff in particular always looked for fresh blood and always wanted to ignite wars. He was wealthiest Jewish banker in the world at the time and hated the Tsarist government. He called Russia “the enemy of all mankind,” and even financed plots against them. “The Bolshevik Revolution actually was financed by wealthy financiers in London and New York. Lenin and Trotsky were on the closest of terms with these moneyed interests both before and after the Revolution…. As the saying goes, those who don’t know the past are doomed to repeat it. And Trump is just repeating history by deliberately conniving with the Israeli regime and the Neocons in America. His so-called “America First” was just a pipe dream. And if Trump is willing to dump those who have voted for him within the first three months of his candidacy, what will happen within a year? 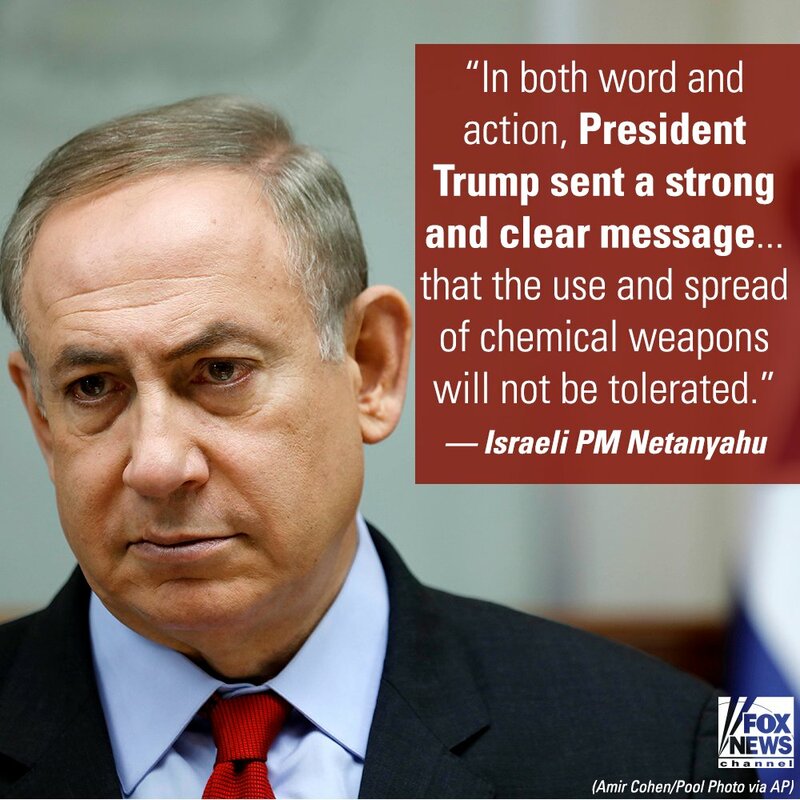 Will he continue to kill Israel’s enemies in the Middle East? Will he help Israel create World War III? See for example Michael Warren, “How Trump and His Team Decided to Strike Syria,” Weekly Standard, April 7, 2017; John Podhoretz, “The Week Trump Learned He Is President,” Commentary, April 6, 2017; Noah Rothman, “Congress Must Take Action on Syria,” Commentary, April 7, 2017; Max Boot, “Trump Must Define America’s New Mission in Syria,” Commentary, April 7, 2017. Elliot Abrams, “The Strike At Syria,” Weekly Standard, April 7, 2017; “Trump National Security Team All Agreed on Syria Strike,” Weekly Standard, April 7, 2017. “‘Don’t attack Syria’: Donald Trump’s old tweets to Obama,” Russia Today, April 7, 2017. “Trump warns that by attacking Assad, US will ‘end up fighting Russia,’” Russia Today, November 12, 2016. Woodrow Wilson, The New Freedom: A Call for the Emancipation of the Generous Energies of a People (New York: Doubleday, 1913), 13. Naomi Wiener Cohen, Jacob H. Schiff: A Study in American Jewish Leadership (Waltham, MA: Brandeis University Press, 1999), 38. E. Michael Jones, The Jewish Revolutionary Spirit and Its Impact on World History (South Bend: Fidelity Press, 2008), 683. G. Edward Griffin, The Creature from Jekyll Island: A Closer Look at the Federal Reserve (Westlake Village, CA: American Media, 1998), 123, 210, 263. Robert W. Merry, “This Isn’t the Foreign Policy Trump Campaigned On,” American Conservative, April 7, 2017. Based upon the ashen, aged look upon Donald Trump’s face just lately, It wouldn’t be surprising if was blackmailed into the attack. The good news is that thanks to his discussion of the real issues — which before his campaign had been totally verboten in polite company under pain of being shunned, excommunicated or hated — mass quantities of people are now willing to discuss those issues. Even though Trump only bashed or appeared to bash the Jews by neglecting to mention them on holohoax day, more and more people are willing to openly state that we don’t need another war for the Jewish harvest. People who are not willing to say that deserve neither freedom nor (it appears) a continued non-radioactive existence. How would over paid moron Brian Williams like to have one of those missiles land on his house and kill him and his family? America has been lucky so far with all the hatred created around the planet by our gross inhumane treatment of others, but soon that luck will run out like it did on 9/11. When WWIII starts no one in the U.S. will be spared from the horror this time. And with ignorant, arrogant idiots like Trump calling the shots, this is likely to happen sooner rather than later. He is also blowing borrowed and printed money just like all the rest risking a financial melt down which could happen at any instant without warning and when it does all H will break loose. Is your fall out shelter stocked? I had just pushed the button to post this comment yesterday morning when I got the message “internal service error 500” and I have not been able to access this site until moments ago. According to your other article the US Army Cyber Command Hacked your site. This is outrageous; just another bunch of cowardly criminals aiding and abetting the US crimes all over the world. Shame on them. Congratulations to Gordon and Jim for getting this great site back up with some truth instead of the barrage of lies from the lying media. Boycott all branches of the totally outlaw and corrupt US Military who blindly follow illegal orders which violate international law and hack sites like this who seek to expose their lies. Today they seek to blame Russia and Assad for the crimes of Trump and the United States of American. Shame shame shame… a thousand times on you cowardly aiders and abettors of crimes against humanity in the US Military. Trump is nothing but a 30+ year liar and cheater from NY as proved by the late Wayne Barrett top investigative journalist in NY. Impeach him ASAP before he blows up the world with the corrupt US Military dupes. The only thing the thugs and criminals in the corrupt U.S. Military learned from Nazi, Germany and Adolph and Joseph Paul Goebbels is how to copy them. Shame on the corrupt treasonous four star generals who obviously stood down on 9/11/01 and didn’t lift a finger to protect this country. All of them should be sitting in a jail cell. Instead they retired on lavish pensions they don’t deserve. Patton would have had them shot on site if Eisenhower and the other crooks had not had him murdered. Another military crook General Donovan, also from NY, of former OSS, paid a military assassin 10,000 dollars in 1945 to plan and murder General Patton. He was NOT killed in an innocent car accident as falsely stated in lying history books, but MURDERED by order of General Donovan. Ike was in on it with other top brass too. Patton was the greatest general of WWII. “Similarly, in his deposition in the federal discrimination case, Trump refused to acknowledge responsibility for accepting or rejecting individual tenants. Those statements were a material part of his testimony since they went to the heart of the case — Trump’s ability to control the discriminatory practices of his companies. Government: “Do you ever have anything to do with rental decisions in individual cases? Donald Trump is a user of other users. The politician and his moneychanger feed on each other. The moneychanger trades private dollars for access to public ones. Trump, Sunshine, Lindenbaum, and their counterparts Carey and Beame are classic expressions of this relationship. The transactions that result are contained in the father’s story of Trump Village and in next week’s account of Trump’s Manhattan conquests.” President Donald Trump: Liar , cheater , con artist, bully, draft dodger, despicable citizen, prejudiced discriminator against blacks in housing and and violator of Federal Fair Housing law and on and on and on. Congress: Impeach Donald Trump ASAP before he blows up you and your family and mine and the planet. Get up off you lazy lying corrupt butts now you bought and paid for whores and do it! Emergency! Guess who created and financed Adolf Hitler and Josef Goebbels, a Jesuit ? Brian Williams got fired from NBC because he got CAUGHT lying. He got hired by MSNBC because he is a great LIAR! So, Zakaria is acknowledging that it’s become normal for the US to bomb other countries W/O anyone’s approval, without congress, without the UN, without even a legitimate reason. Not only is this [email protected] stick acknowledging these “norms”, but he’s praising them. Then he has the audacity to turn around and talk about morality. “America’s role in enforcing justice in the world”. Hating the truth is a prerequisite for being on primetime. Jared Kushner to marry into the Trump family to be a key influential player during the presidency they KNEW was going to happen. During their occult sacrificial “meat” and greets with Satan, they get sneak peaks into the future and that is why you will see an episode of the Simpsons from years ago showing Trump as President, on the escalator in Trump Tower. So they get an infiltrator into the family…. who will do their bidding, and of course Trump being the type who doesn’t have the strength of his own convictions, will be easily swayed by members of his family, namely his son in law and daughter who are probably Kabbalists. Bannon and Kushner supposedly argued ….. Many stories now showing that Syria & Russia didn’t do the Idlib gas gig. VT has most of top info, intel & stories; but there’s a good article at Zero Hedge: “Evidence Calls Western Narrative About Syrian Chemical Attack Into Question” at http://www.zerohedge.com/news/2017-04-06/evidence-calls-western-narrative-about-syrian-chemical-incident-question. Bibi & Co. are openly ramping up for a (Mideast) “big war” — what GW Bush’s Iran adviser told me in mid-2000s. Bannon was against the Syria strike, but Jared & Co. favored it. Jared & Co. are closer to Bibi & Co. than Bannon will ever be. As you may know, VT was hacked & disabled today in a sophisticated way, given VT’s defenses. VT was offline for most of the day. My info thru Congressional sources is that Trump himself probably ordered that. The most probable means to make it happen is thru Cyber Command at Fort Huachuca (AZ) — maybe with help from Bibi’s Unit 8200. Striking Syria is one thing. Striking a U.S. media outlet with millions of pageviews per week is quite another. Either or both might doom the Trump presidency. The game is afoot… ;-). Yes I know that VT was hacked, noticed them over Twitter after a few minutes from the beginning. I was online on VT the whole day. And I don´t forget that uncle Benjamin has his own agenda as a Order-of-Fatima-agent. So I take it all with a spoon full of sugar or a grain of salt as you say. Trakkath: Be careful with those spoons full of sugar. The Fort Huachuca boys (maybe Bibi’s boys too) just put another spoonful of sugar in VT’s gas tank. Engine now replaced (or close to it). ;-). Men lie about that spoonful. Some cry about that spoonful. some die about that spoonful.